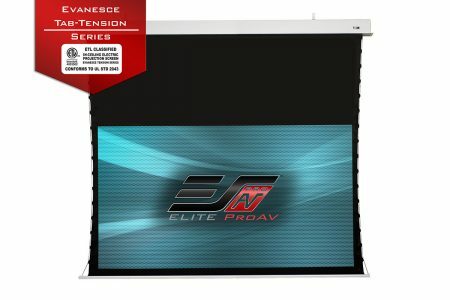 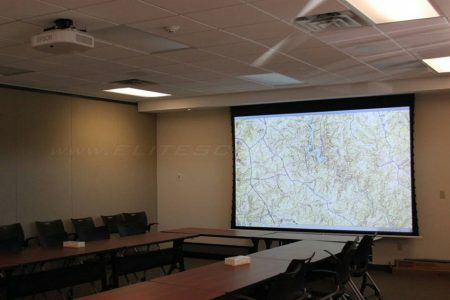 Evanesce Tab-Tension Series - EliteProAV - Providing an array of dedicated commercial grade projector screens to professional integrators. 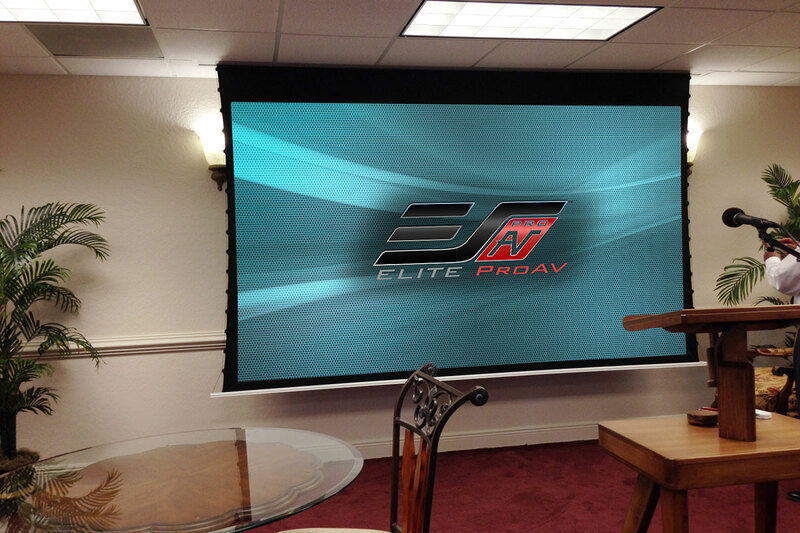 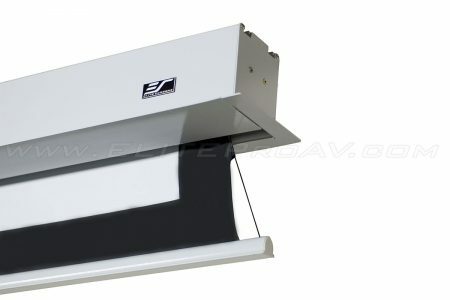 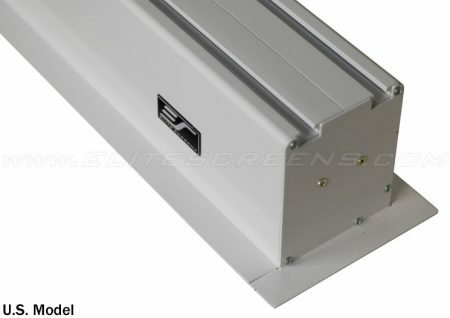 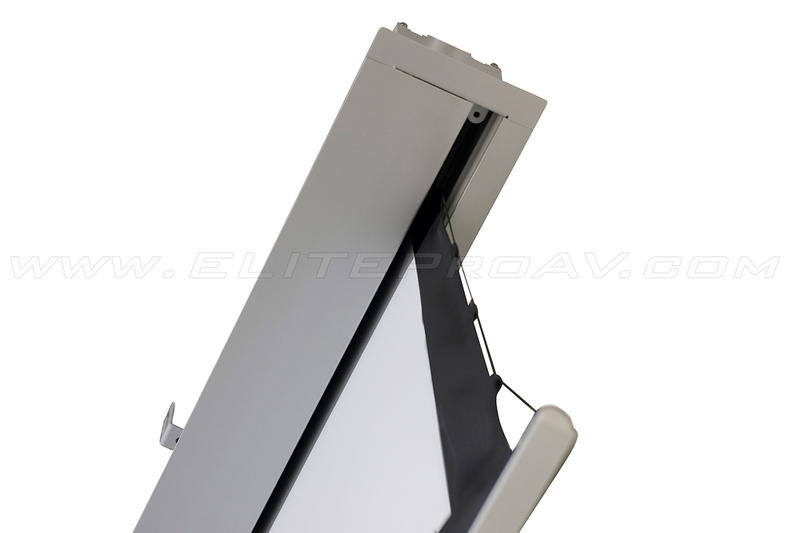 The Evanesce Tab-Tension is an in-ceiling recessed electric projection screen. 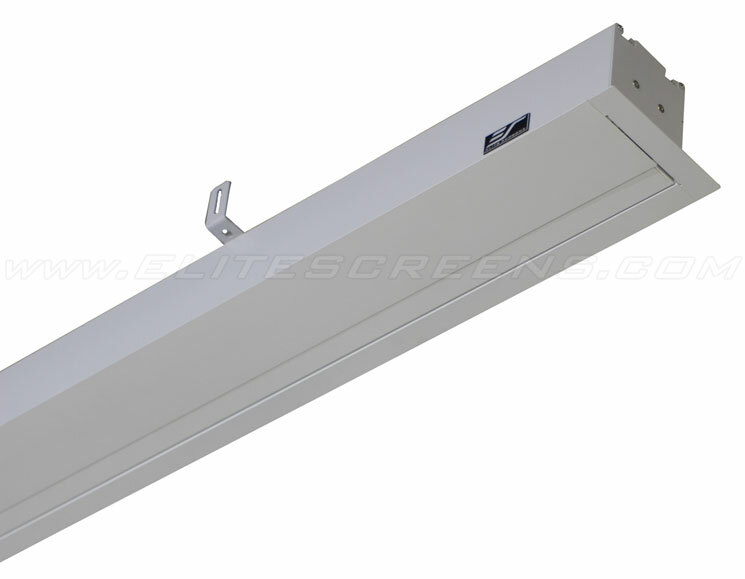 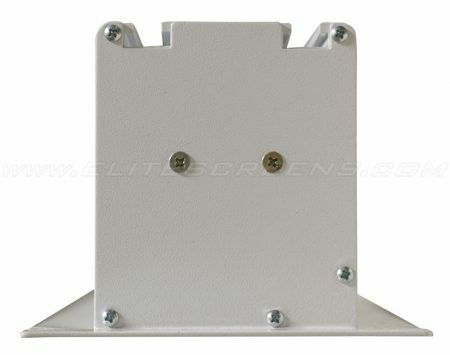 It has the flexibility of being able to be installed above or below the ceiling. It is the perfect solution when there is a need for a concealed screen installation that conveniently disappears from view when not in use. 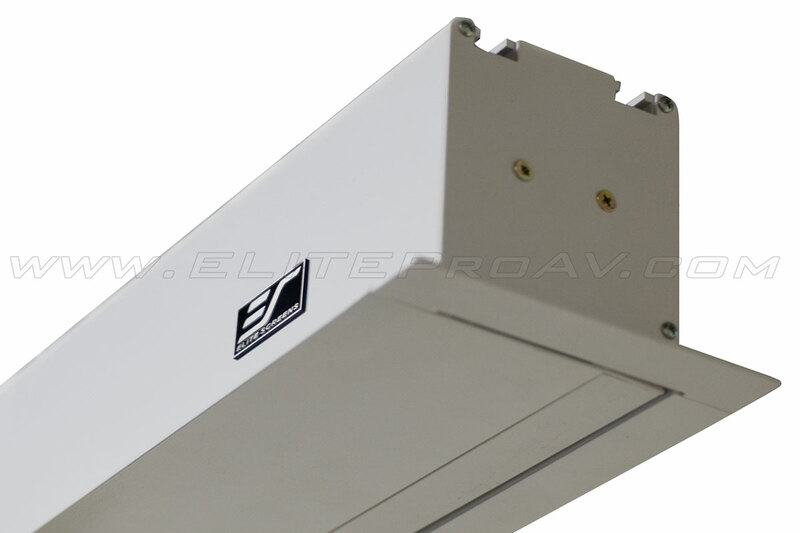 It is Plenum Rated UL 2043 for safe installation in an “air-handling” space. 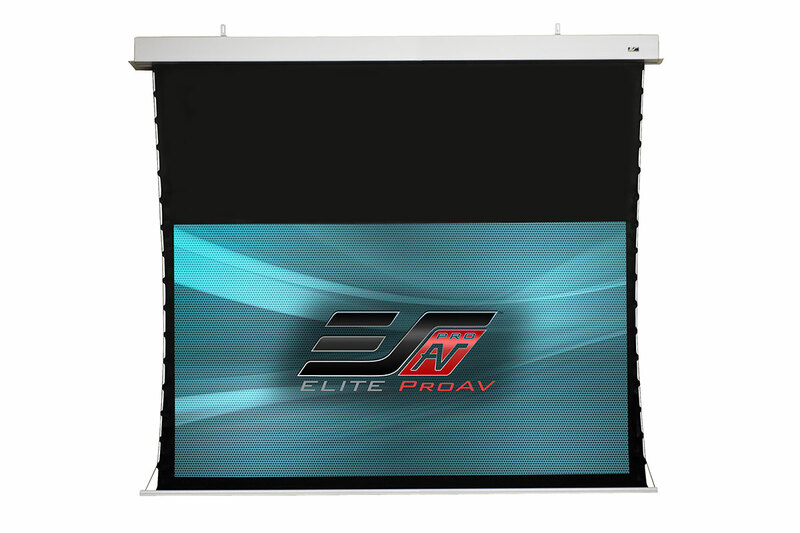 It utilizes our award-winning CineWhite® 1.1 gain matte white tensioned-material which provides superb color temperature with wide diffusion uniformity. 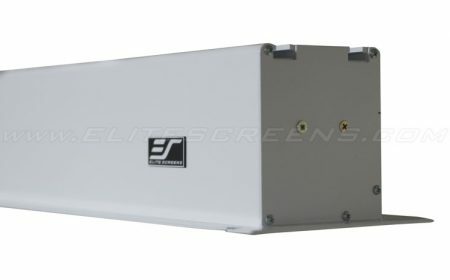 The screen is moved by a strong, fast-acting tubular motor and comes with a full IR/RF wireless, 12-volt trigger and RJ45 Ethernet control package.